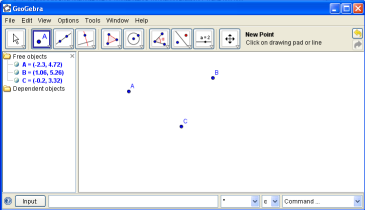 GeoGebra is free, multi-platform dynamic mathematics software that joins geometry, algebra and calculus. Multi-platform means it works on both PCs and MACs. Dynamic means that the user can interact with the computer. 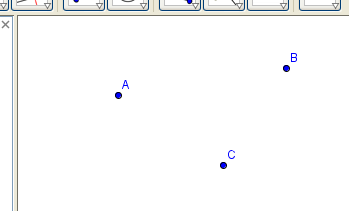 Where does the name GeoGebra come from? Here are names that will be used for various GeoGebra elements in subsequent tutorials and worksheets. Click on Options in the MENU. In the sub-menu that appears, click on Angle unit . In the sub-menu that appears, click on Radians . (This menu contains the degree symbol, constants, functions, and relations.